You will all be aware that society publications such as OK Magazine, Allright, Hello and Hiya major on publishing photos of as many people as they can to guarantee that someone buys them. They at least get as many sales as people in the pics. Well we’re a bit like that at trefor.net, the Xmas bash being an example. This is not always the case though. Sometimes we go for sheer artistic merit. On this occasion the background for said art is the Court Room 7 St Andrew Street and the venue of the Lonap AGM 2014. In 2015. St Andrew Street is so called after the church of that name and the Court Room looked as if it might be the vestry or simlar. Very nice room it was. I only have two pictures for you. One is of Warwicknet’s Steve Glendinning praying. Those of you who know Steve will attest that he is a very spiritual man. 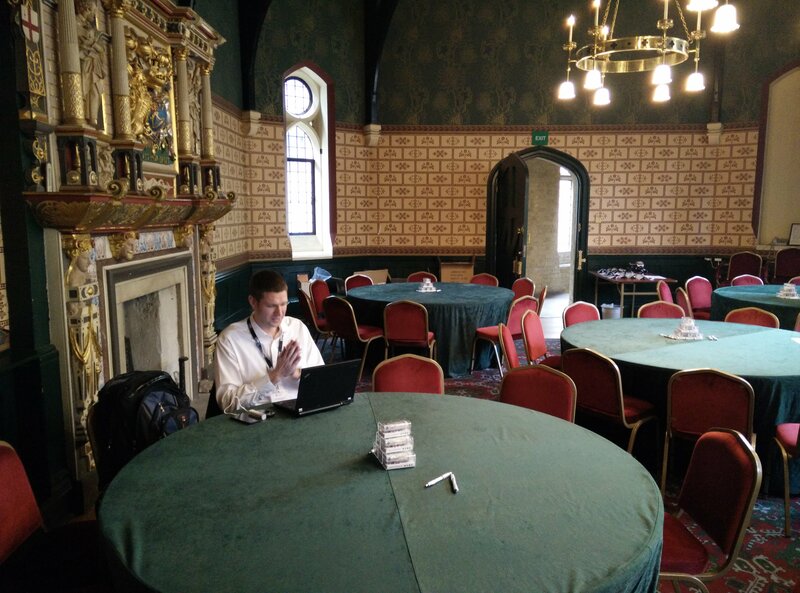 Steve, Steve, Steve, praying isn’t going to stop that network problem 🙂 Note the LONAP phone chargers and biros on the tables. No expense spared us. The second photo is simply surreal. 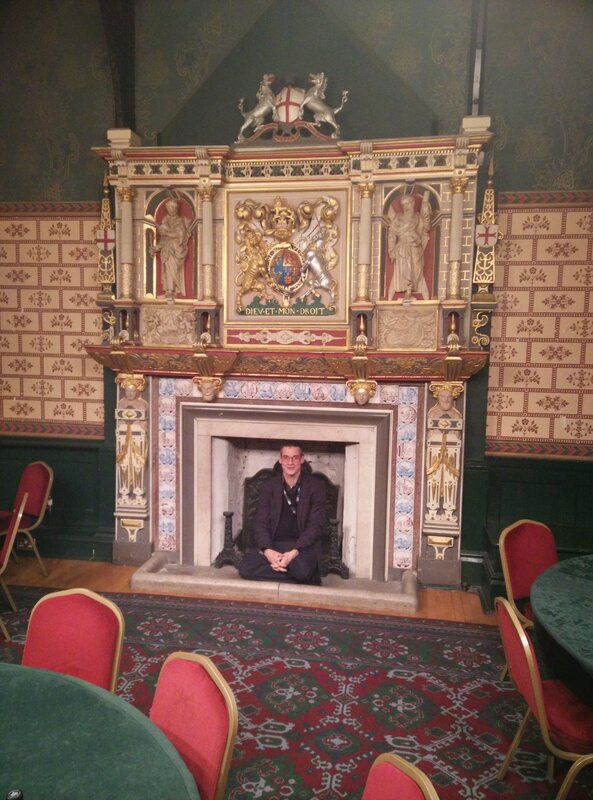 Paul Thornton is sat in a highly meditative pixiesque position in the fireplace. What goes Paul? Course I might have suggested he sat there – for the art and the subsequent publicity:) (fwiw). If you want to know what goes on at a LONAP AGM and the subsequent social why not sign up. It’s a terrific organisation to be part of with serious engineering and business benefits for your own company.